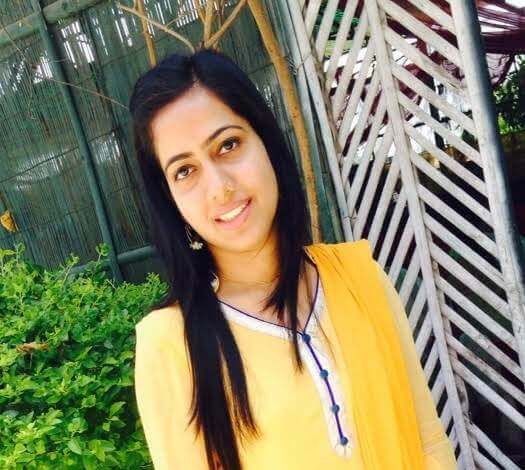 Ayushi Sharma, who topped UPSC CSE 2014 with Rank 155 is a vibrant young engineer from Rajastan. With a full-fledged preparation which began during the final year of her college, she secured one of the top ranks in UPSC exam in her first attempt itself. Ayushi is an inspiration to many of the young readers of ClearIAS. Let’s welcome Ayushi Sharma to the “UPSC Toppers Interview” at www.clearias.com. What’s unique about your profile: Simplicity of my profile makes it different and unique. Childhood dream not exactly..!! But I decided to write civil services examination after class 12 and accordingly started my preparation, though full- fledged preparation began during final year of my college. I am basically a resident of Jaipur (Rajastan) and have completed all my education from here only. I did my engineering in electronics and communication from a jaipur based university in 2013. I chose engineering as a backup plan and my interest in mathematics and circuitry. Yes the competition level is on rise as the number of candidates preparing and appearing for civil services is increasing. We can’t say it is the final destination but an important one because of the prestige associated with the same. I studied GS in a comprehensive manner and focused upon opinion building by linking theories with contemporary examples. Slight changes were done in accordance with prelims and mains with focus upon DAF for interview. I generally studied alone but discussed some answers and interview questions with friends preparing for CSE. Mains mock test: Vision (It was okay). There are number of websites and online portals which are really beneficial. I referred Mrunal, KSG, Insights, Pib. I only read the topper’s talk on clearias which was very helpful but haven’t gone through the answer writing series but it is a nice initiative as it helps a number of aspirants. Online platforms help a lot during preparation; apps for note making, newspaper, constitution are helpful. The Hindu, TOI, Yojana/kurukshetra/chronicle/CSR/Frontline (selectively). Mobile apps can be used for reading newspapers but The Hindu should be read thoroughly without a break with emphasis on editorial. Not more than one hour should be devoted for reading newspaper. I preferred a mix of both; core areas from the books and supplementary material online. I didn’t have any time table as such but managed to study daily without a break. Whatever be the number of hours you devote everyday but complete focus is a must then. Some kind of inner force was there which kept me motivated all through 🙂 Whenever I was low I took small breaks to just freshen up my mind. And yes ‘simplicity is your strength’. Congratulations mam & I would ask you about what are books you preferred for mains exams ? Can u help me on this?